Breaking: GOP Cowards Are Blocking The Biggest Pro-Gun Bill Ever! This our LAST chance to force Congress to pass the biggest pro-gun bill in American history, the Concealed Carry Reciprocity Act. If Congress does not put the legislation on President Trump's desk over the next week -- before Democrats retake control of the House, then the bill will die. It is now or never! Don't let Paul Ryan and Mitch McConnell block this historic bill from passing! Help restore the right to carry to ALL law-abiding Americans! Send your instant FaxBlast to Congress before it's too late and FORCE them to vote and pass the Concealed Carry Reciprocity Act right now! In just a few days the Concealed Carry Reciprocity Act will expire. You must do everything in your power to get this bill, either as a standalone or amendment, onto Trump's desk before it's too late. Even though the bill had bipartisan support in a test vote in the House, Democrats are promising to block the legislation onces Pelosi gets the gavel. You cannot allow them to trample on our rights like this! The Concealed Carry Reciprocity Act is the biggest civil rights bill to come along in a generation. 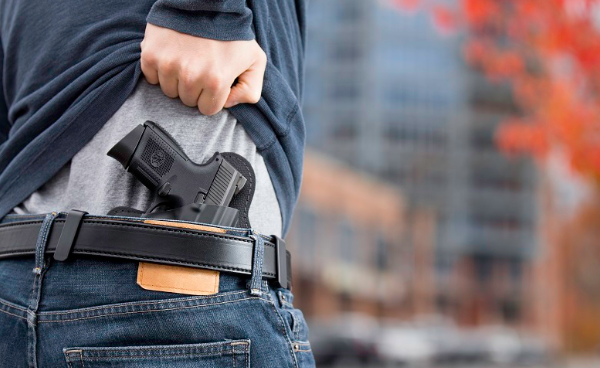 Not only would it extend nationwide reciprocity to current carry permit holders, but it would finally allow law-abiding gun owners living in anti-gun states to exercise their right to bear arms for self-defense. Right now, more than a quarter of all Americans live in states that have "may issue" concealed carry laws. What that means is that applicants have to convince licensing authorities that they deserve the right to carry before their permits are approved. In states like California, New York, New Jersey, Massachusetts, Hawaii, and Maryland that is impossible to do. No matter what applicants say, they are refused the permits. These states also happen to be the ones that refuse to honor any out-of-state permits, forcing licensed gun owners to disarm when traveling through. When the 14th Amendment was ratified, Congress was given the authority to pass legislation anytime states were caught ignoring the rights and privileges of American citizens. The Concealed Carry Reciprocity Act would do just that. It would essentially require states to treat out-of-state carry permits the same way they treat driver's licenses. Even though states have different testing requirements, people are still allowed to drive across country without having to get a license in each state they enter. The same would happen with concealed carry permits. But the bill would also give the tens of millions of Americans living in anti-gun states to use non-resident permits from Utah or Florida to carry nationwide as well... including in their home states! You have the chance, right now, to restore the 2nd Amendment to the way the founders intended and protect the carry rights of ALL law-abiding Americans. The GOP has been stalling for two years. In less than a week, the legislation will expire and Democrats are already promising to block it from passing when they take over. It is now or never. I am demanding that you use every ounce of political capital at your disposal to push this through. If you will not push the Concealed Carry Reciprocity Act through, then I will have no choice but to do everything in my power to remove you from office! Push the Concealed Carry Reciprocity Act through or I swear you will regret it!